I have become an opportunistic photographer . I always have a camera with me and whenever I drive or walk I automatically scan the periphery for something unusual. It gets dangerous when I drive because I must remember to look in my mirror before slamming the brakes when I pass a subject like this one (in Imbros on the road to Hora Sfakion). There are loads of verbascum (I think that it's also called mullein in English) growing right now. 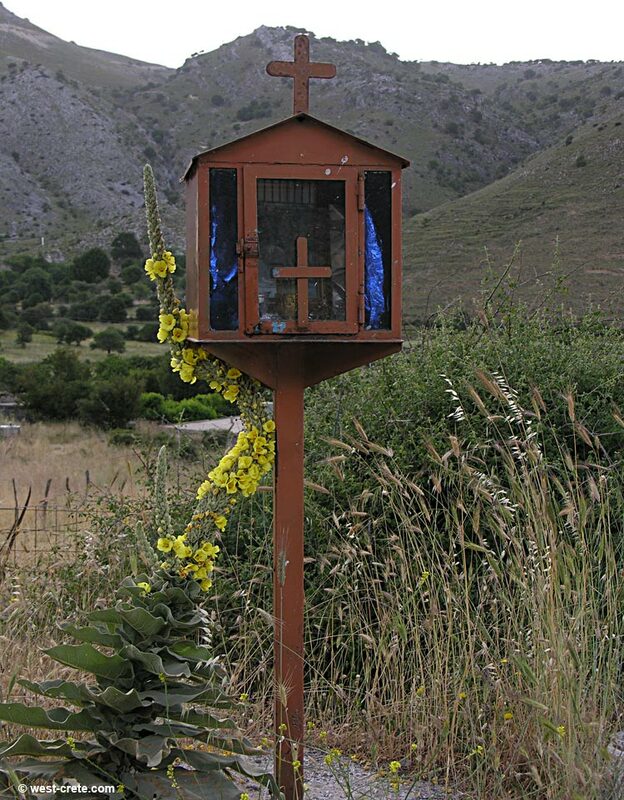 There are also plenty of roadside shrines but the way this flower lasciviously leans on the shrine blew my mind.